Copyright 1997, 1998 by Benjamin Rowe All rights reserved. 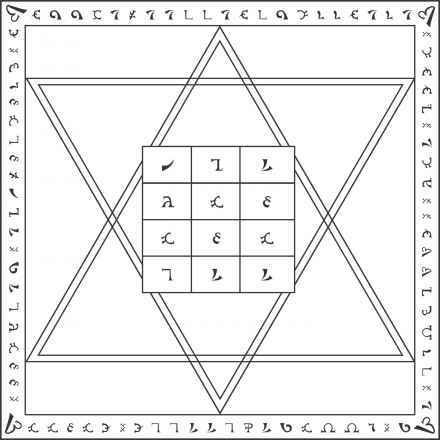 Thanks to Mr. Clay Holden and the John Dee Publication Project for the illustrations of the seven Ensigns of Creation, for the illustration of the sigils of the 91 Parts on the Great Table, and for the Enochian typeface used in various other illustrations. 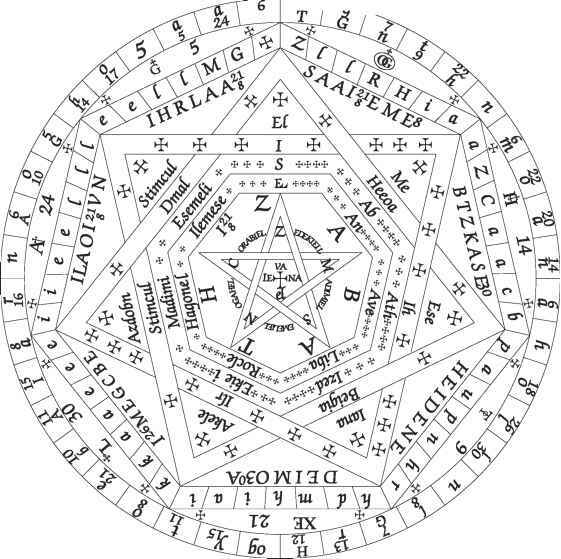 Thanks to Scott M. for scans of the seven tables from which the Tabula Bonorum is formed.